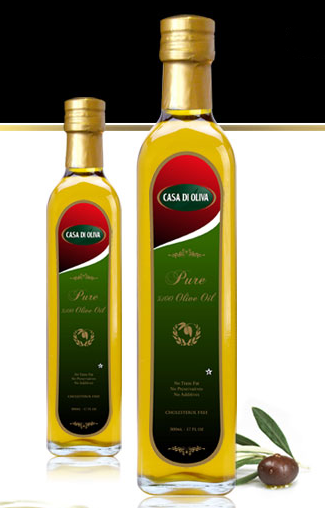 Pure Olive Oil is the mixture of extra virgin olive oil after the first refinement. Our pure olive oil has a less bitter taste compared to our extra virgin olive oil. It has always been Chef’s favorite oil since it is healthier than traditional cooking oils. Just pour it on salads and pasta, add it on your marinades, hearty soup and sauces, or simply mix with cracked pepper and fresh herbs for a delectable dip.